It's attractive surface is created using natural woollen felts that give it a distinctive texture. Appreciated for its excellent colour lifting abilities. 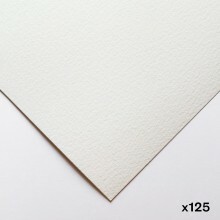 This is an extremely forgiving watercolour paper valued by professional and amateur artists around the world. This Bockingford paper has a textured Rough surface.